This entry was posted in Home Economics, Literature, Music, The Arts, Traveling, Writing and tagged academics, books, booksellers, home business, music, photography, Scholar & Poet Books, study, the arts, travel, writing. Bookmark the permalink. 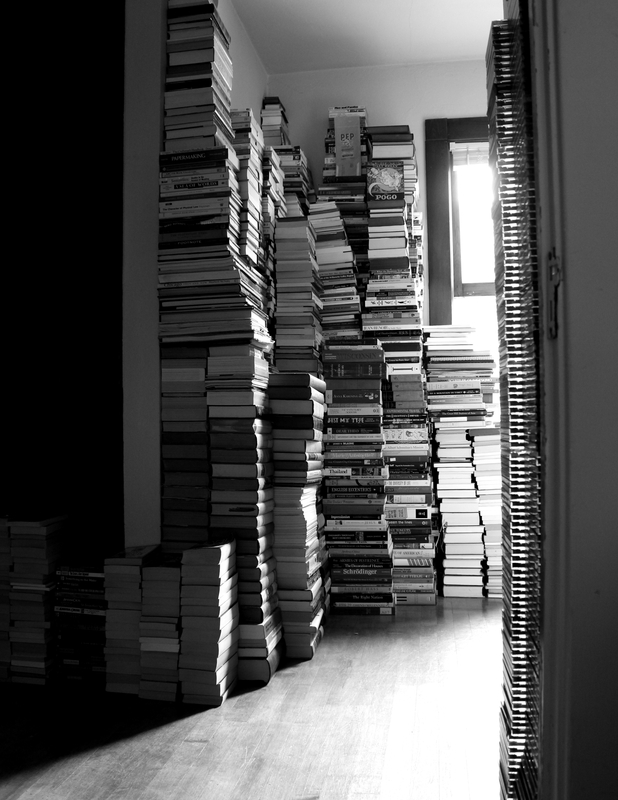 Snowed in with that pile of books…a fantasy come true. You write this with such grace. Wow, that’s a collection for a wintery evening or two! “Strong in the strength of all, venturing together, searching, exploring the life of the mind…”love this sentiment, and sounds like you are following it! It’s kind of corny, but still…I like it. Such are my favorite days. You are fortunate to have found such a kindred spirit in Steve. Thanks, Helen! Research is great, but I’d love to see those mountains and faces in person.